What accessories does my dog need? Accessories, though often considered as gadgets, are essential when adopting a dog either from a breeder, friend or shelter. 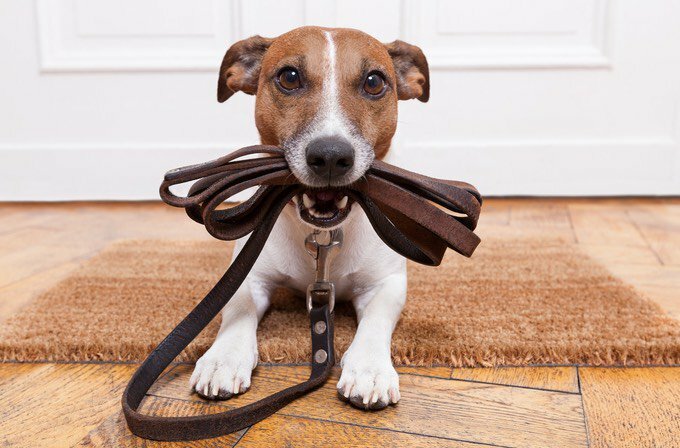 Some accessories are indispensable for the arrival of your dog and should be bought even before the dog makes their first steps into the house. Others may come in handy later, particularly when it comes to your dog's daily life, their education, and their comfort at home. It is therefore very important to have at your disposal all the necessary accessories that could help your dog settle into their new life, and make the most of it for years to come. This accessory may seem unremarkable, but it is however very important. It is the item that will contain your dog's food and therefore be their personal item. It is important that your dog can identify the bowl that is theirs and theirs only. Ig is advised to place two bowls at your dog's disposition: one for food and one for water. The bowls should be chosen with respect to the size of your dog. If you'd like to find out more on the subject, you can read this article. These two accessories are essential for ensuring the safety and security of your pet. The collar also helps to result problems thanks to the dog tag that should be attached. It is advised to wait between 6 and 7 weeks before giving your puppy a collar. It should be chosen according to the size of your dog and should be neither too wide or too tight in order to ensure your dog's comfort. During walks, the best option is a harness as it is much more comfortable for your dog, not strangling them when they pull too much on the leash. As for the leash, it should be long at first so that your dog can get used to it. Don't hesitate to read more about dog collars here. Wearing a dog tag, in the case of losing your dog or their running away, will allow them to be identified more easily. It is advised to engrave your phone number, your dog's name and your address on your dog's tag. This simple metal disk can save you a lot of stress and worry. 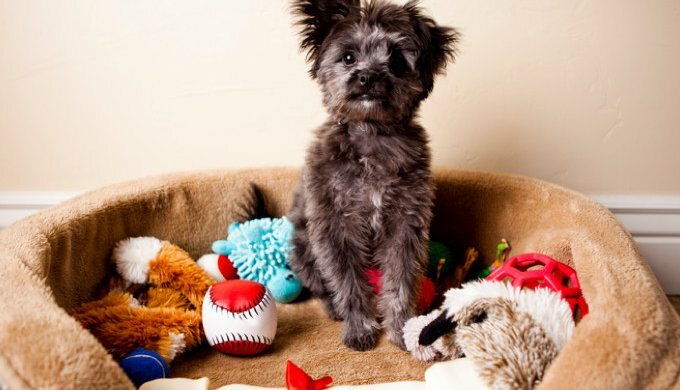 Toys allow your dog to be stimulated so that they can expend their energy. They also represent a way to improve your relationship with your dog. Toys are ways to distract your dog so that they don't get bored and do something silly. There are so many dog toys available in shops that your dog will love such as fabric knots, plastic bones and plastic balls. Yummypets has so many simple DIY dog toys for you to try out - check them out here! A transport cage for your dog will keep them safe whenever they travel with you. Be it a long journey or a trip to the shop, a transport cage for your dog is indispensable for your dog's safety as well as your own. Choose a solid, good-sized cage in order to ensure your dog's comfort. Travelling, however short the journey, is hugely stressful for your dog. Don't hesitate to find out even more on the subject by reading this article about travelling with your dog. A brush or comb for your dog is an indispensable accessory for preserving the health and silkiness of your dog's coat. It will allow your dog take care of the fur each time your brush it. You will find in pet shops many kinds of brushes such as wide-spaced metallic combs, or finer ones for getting rid of parasites. All these accessories are there to make your daily life with your pet a pleasure. Don't hesitate to do more research before buying as there is a huge variety of products available and you want to choose the best possible products for your dog. Generally, dog accessories should last a few years (other than toys) so don't hesitate to spend more money at first to save it in the long run! Do you think we missed anything off the list? Let us know in the comments!